I wrote about the growing use of digital Bibles in Church and for private reading about a year ago but this article in the Washington Examiner caught my eye. God is still great in the eyes of Americans, even on the internet. While an amazing 88 percent of the nation’s homes own a Bible, more and more are switching to the internet, cell phones and iPad for their weekly inspiration, according to a sweeping new survey of Bible use. In their latest survey of Bible use, the American Bible Society finds that 41 percent of Americans used the internet to read the good book on a computer. Some 29 percent said they searched Bible verses on a cell phone and 17 percent said they read an electronic version of the Bible on a Kindle or iPad. The trend is similar in the news business, with the readers shifting to digital over paper. “The data shows a continual shift to digital content. The number of Bible readers who use their smart phone or cell phone to search for Bible content has increased each year, with a 6 percent increase in the use of this format from 2012,” said the Society. “Use of internet to find Bible content has also increased, up 4 percent from 2011,” they added. 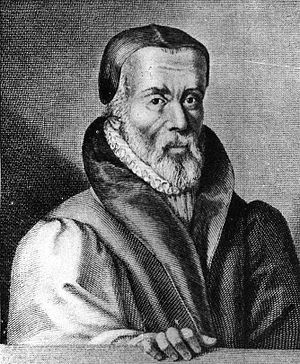 William Tyndale said that he wanted the scriptures to be known even by an uneducated plow boy. Printing was a relatively recent invention in his day and books were still fairly rare and expensive. Many people, especially among the poor were illiterate and the age of mass education and mass literacy was still in the future. Imagine what Tyndale might make of an age in which almost everyone can read the scriptures at almost any time or place they want. And, said the survey of 2,083, the most read and searched version of the Bible was the King James version. Thirty-eight percent preferred that over the New King James version, which just 14 percent prefer. Americans also said that the Bible is king over the Koran, with 80 percent calling the Bible sacred, with just 8 percent citing the Koran. That was followed by the Torah, at 4 percent, and Book of Mormon at 3 percent. With more people tapping into the Bible for direction and inspiration, the most read book in the world is also having a bigger influence in American politics. More than two-thirds, or 69 percent, said their personal faith has at least a little influence in political issues. And the percentage of those who said their faith influences their political leanings has increased from 27 percent last year to 31 percent this year. It is interesting that the King James Version was the most widely read. at least on the Internet. Part of this might be that the copyright on the King James Version expired centuries ago so the King James Version is the most likely to be found for free. Most of the appeal of the King James and New King James Versions must be the familiarity of these translations. Although the NIV has become popular, the NIV along with most modern translations just doesn’t read the same as the old King James. 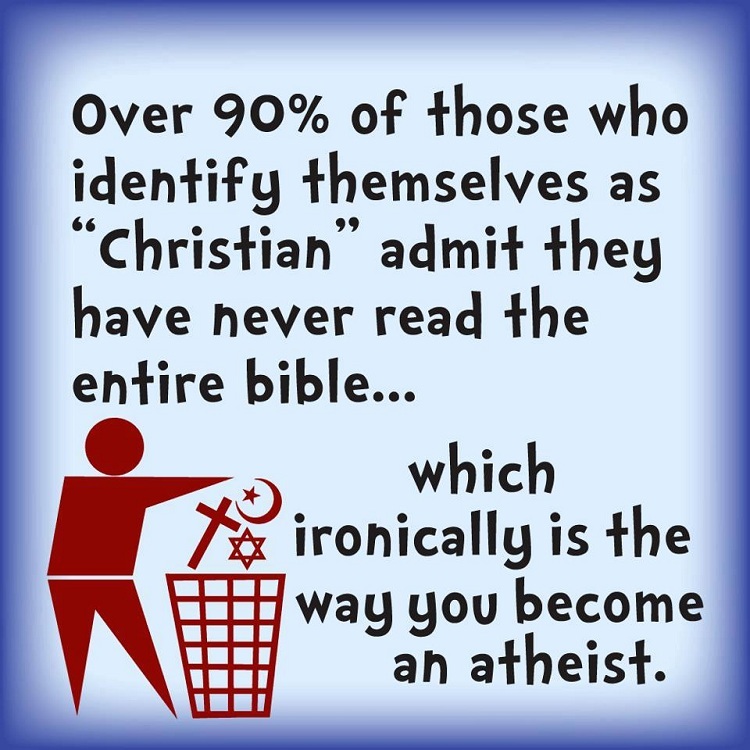 It is not too surprising that 80 percent of the American population would consider the Bible sacred, considering that somewhere around that percentage of Americans are at least nominally Christians. I am surprised that 8 percent consider the Koran sacred. I do not think there are that many Muslims in the United States. Perhaps some of these are multi-culturalists who want to say every religion’s book is sacred. I wonder if respondents were allowed to give more than one answer to the question. The Torah is the first five books of the Old Testament, so that 4 percent must be Jewish, although I would have thought that they might consider the Hebrew Bible sacred. 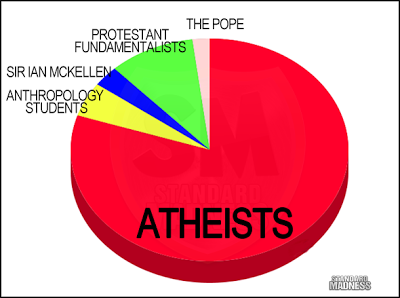 I though there were more Mormons than 3 percent. 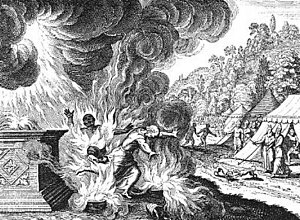 They consider the Bible to be sacred, so I wonder if Mormons said both the Book of Mormon and the Bible. I wonder if there were any Hindus or Buddhists in the survey. Since 69 percent stated that their faith had some influence on political issues and the the number whose faith influences their political leanings from 27 percent to 31 percent this last year, it appears that the Freedom From Religion Foundation still has a lot of work to do. Or maybe not, since they don’t depend on popular opinion for their successes but on the ability to manipulate the courts. On the other hand, it doesn’t look as though the publishers of Bibles whether in print or electronically are going to go out of business any time soon. The Bible is a fairly large anthology of sixty-six books written in three languages, (Hebrew, Greek, and a little Aramaic) with many genres (history, poetry, letters, etc), on three continents over a period of 1500 years. With such an epic scope, it is easy for even the devout Christian to become lost in the details and lose sight of the big picture. For the beginning Christian, reading the Bible often seems to be a daunting tasking with seeming no easy way to begin or to make sense of everything. What is needed is a short book explaining the big picture of the Bible, to tie everything together in manner that is short and easily understandable. This is precisely what Kenneth W. Craig has done with his book The Big Picture of the Bible. In this short book, Craig covers the basic Biblical message of salvation. The Big Picture of the Bible is divided into two parts and seventeen short chapters which contain lessons easy to understand and can be covered quickly. The Big Picture of the Bible is ideal for personal study or evangelization.